Pretty much ever holiday we have had for the last 6 years, Mr Fifi Friendly has forgotten to put on sunscreen at some point and got sunburn. Why should this year by any different…. come on! On a recent trip to Cornwall he remembered to apply some sunscreen … such a proud moment …. but forgot the bottom half of his legs and feet….again. Luckily we were not out too long, but they were still a pink colour. 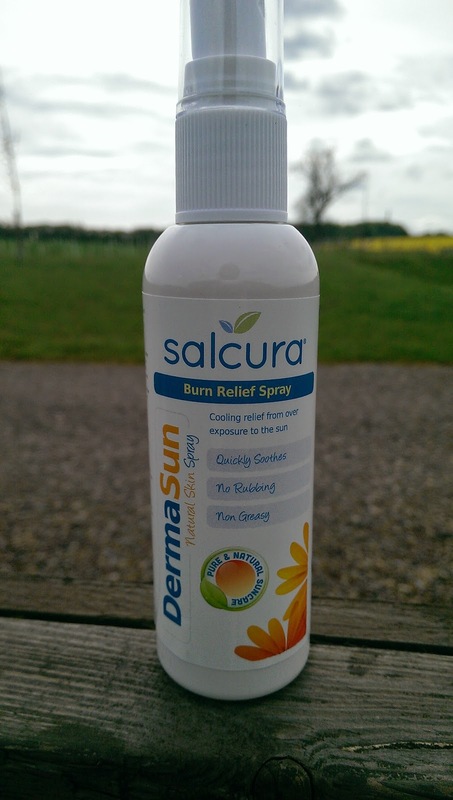 In previous years he found solace in aloe vera or staying in the shade for rest of the week, this year I had Salcura Derma Sun Burn Relief Spray. 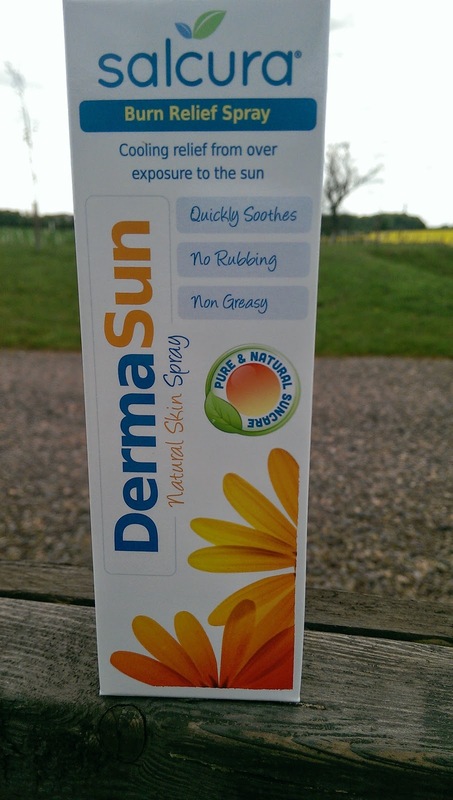 Great calming product if you have over exposed yourself to the sun. Very natural and it did not leave the skin feeling sticky. It also did not leave any marks on clothes or bedlinen. Along with Seabuckthorn Oil it contains omega 3,6,7 and 9 to help rejuvenate the skin. It calms, soothes and rejuvenates…. We will take this away with us again….just in case. You can follow me on Twitter @iamfififriendly and on Facebook. 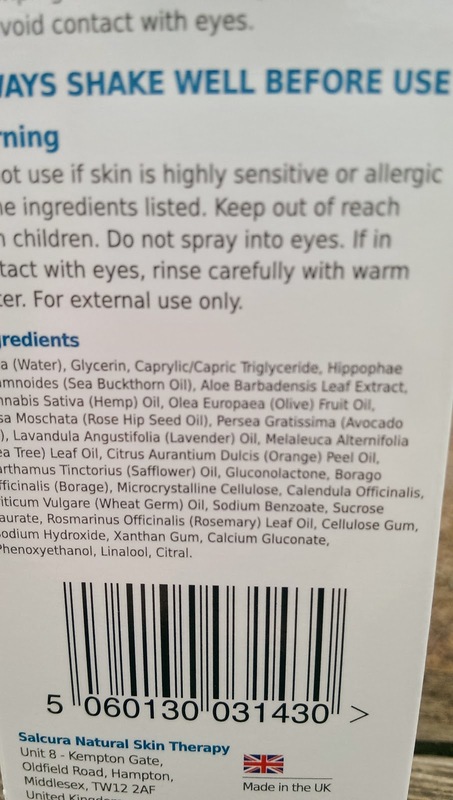 Ingredients:- Aqua, (water), glycerin, caprylic/capric triglyceride, hippophae rhamnoides (sea buckthorn oil), aloe barbadensis leaf extract, cannabis sativa (hemp) oil, olea europaea (olive) fruit oil, rosa moschata (rose hip seed oil), persea gratissima (avocado oil), lavendula angustifolia (lavender ) oil, melaleuca alternifolia (tea tree) leaf oil, citrus aurantium dulcis (orange) peel oil, carthamus tinctorius (safflower) oil, gluconolactone, borago officinalis (borage), microcrystalline cellulose, calendula officinalis, tritum vulgare (wheat germ) oil, sodium benzoate, sucrose laurate, rosmarinus officinalis (rosemary) leaf oil, cellulose gum, sodium hydroxide, xanthan gum, calcium gluconate, phenoxyethanol, linalool, citral. Previous Post Salty Fresh Breath….